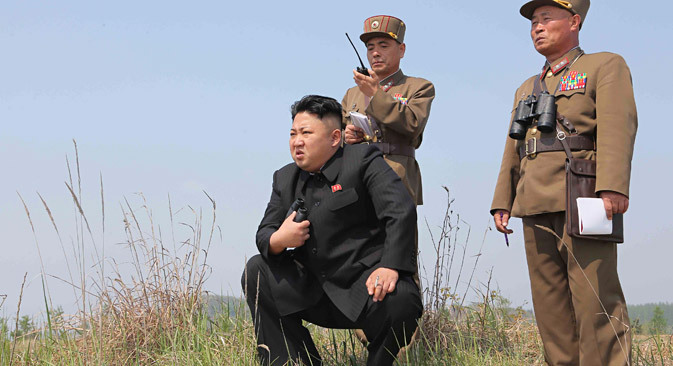 North Korean leader Kim Jong Un (C) guides the multiple-rocket launching drill of women's sub-units under KPA Unit 851, in this undated photo released by North Korea's Korean Central News Agency (KCNA). North Korea is once again a hot topic. RBTH's Asian Editors bring you a selection of our most popular articles on the enigmatic country and its citizens. The oil-rich Russian island has a small community of North Korean laborers, who mainly work as electricians, carpenters and garden hands. They have a reputation in Sakhalin for being hard-working and are in high demand, but North Korean officials keep a tab on their movements. Russia benefits by developing a special relationship with North Korea, because it would give her a trump card in bargaining with the United States, and the ability to demand concessions from Washington in other areas of foreign policy. Moscow and Pyongyang are planning to sign an agreement on preventing dangerous military activities. Experts consider this agreement as a reaffirmation of the special nature of relations between the two countries. They also talk about the prospects of further rapprochement between Russia and North Korea. Kim Jong-un’s refusal to attend the Victory Day Parade in Moscow raised many eyebrows in Russia. However, Russian politicians and experts agree that this will not affect relations between Russia and North Korea.